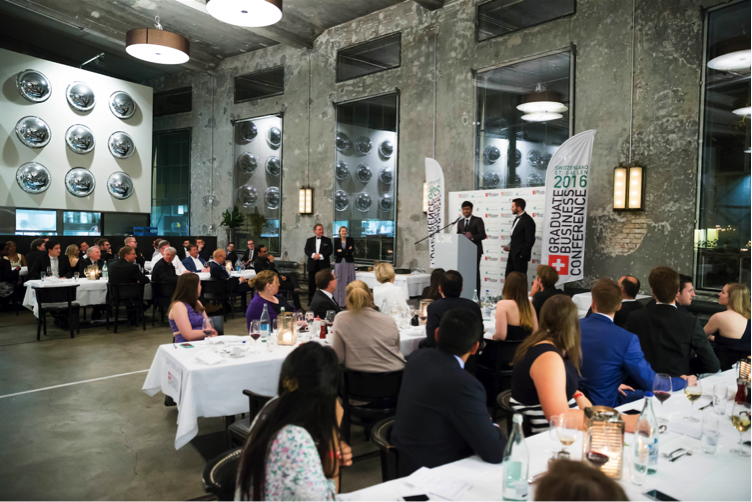 April 8th 2016 (St. Gallen, Switzerland) – Student leaders from Georgetown University McDonough School of Business, the London School of Economics and Political Science (LSE) and The Chinese University of Hong Kong (CUHK) received top honours for their contributions to the areas of responsible leadership, sustainability and student government at the 2016 Graduate Business Conference (GBC2016) of the Graduate Business Forum (GBF) hosted by the University of St. Gallen in Switzerland. Over 100 elected student government leaders and alumni drawn from the top 50 global business schools and MBA programs around the world and distinguished leaders in business and academics met at the University of St. Gallen campus from April 6-8 to share best practices on student government, global views on responsible leadership and learn from global business, industry leaders and each other. 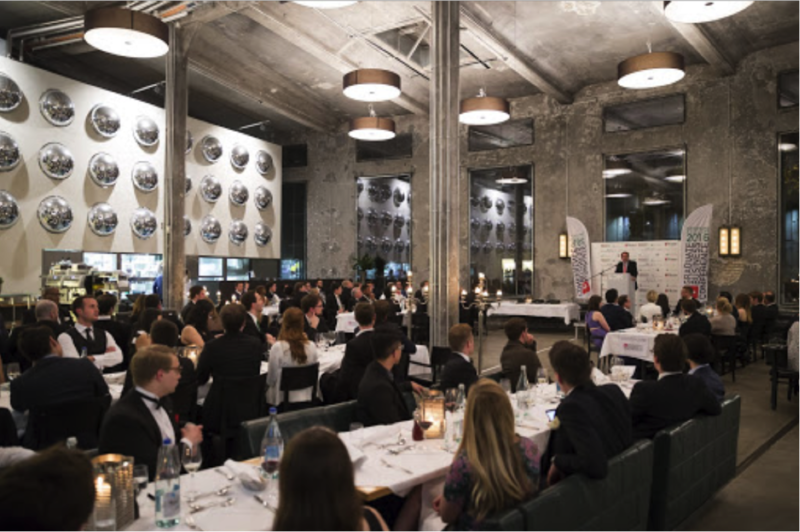 Dr. Christoph Franz, Chairman of Roche Group, opened the GBC2016 by sharing his insights on the conference theme Giving Back: The Responsibility of Future Leaders. 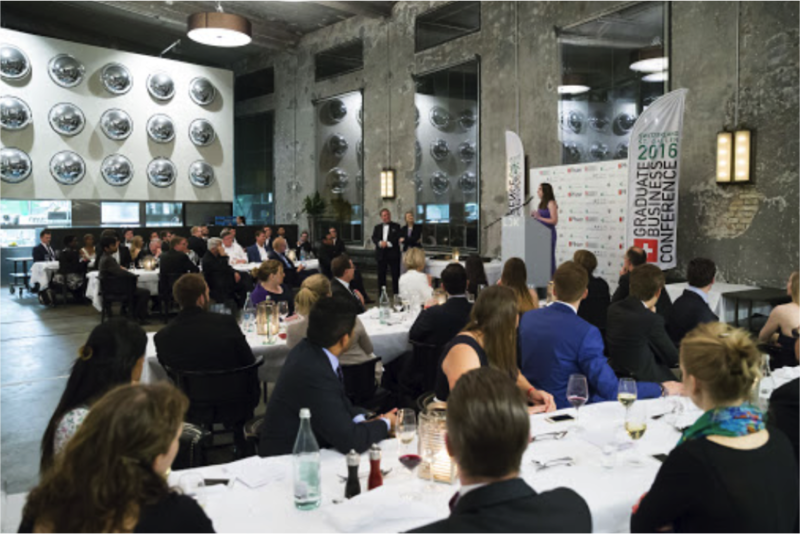 The 2016 GBF Leadership Awards, in honour of this years’ student leader achievers across the top business schools around the world, were presented by Jim Deveau, GBF Founder, Wieteke Dupain, GBF CEO, and Prof. Dr. Kuno Schedler, Vice President Research & Faculty at the University of St. Gallen. 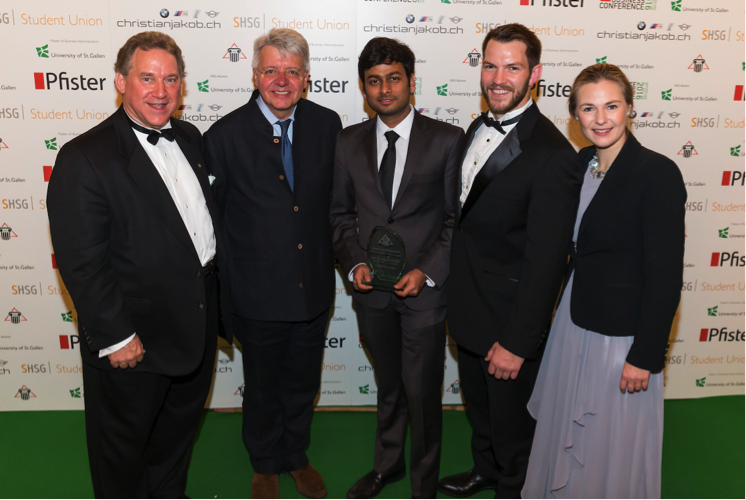 Vaibhav Agarwal and Jason Burchard from the London School of Economics and Political Science (LSE) were presented the GBF 2016 Student Leadership Award for their vision and achievements increasing networking opportunities and community building between current students, prospective candidates and alumni of their program. Vaibhav and Jason founded the “Student Ambassador Programme” to communicate the aims and culture of LSE to prospective students by matching candidates to an ambassador based on nationality, background and work experience; this initiative helped reach over 150 LSE offer holders and generated 10% more applications despite a decreasing trend. They secured a commitment of school-level funding to organize the programme going forward each year. The team instituted annual student conferences for LSE students at Oxford and Cambridge. Moreover, the LSE student team reached out to alumni to increase their participation in school activities like mentorships and alumni-only events. Abby Schwartz from the Georgetown University McDonough School of Business received the GBF 2016 Responsible Leadership Award for successfully spearheading diversity and inclusion (D&I) initiatives at McDonough. Abby identified the need to make D&I a priority in the MBA program and worked together with the Dean, students, administration, admissions department and faculty to create consciousness about the subject and gain support. The legacy that Abby leaves at McDonough is apparent. She influenced the Student Government Association to create a new Vice President for D&I position and achieved a 400% increase in women leadership positions in the newly elected student government. In addition, she created a D&I workshop for students and staff, influenced admissions to consciously reflect on D&I in the admissions process, to increase the number of women in the program from 31 to 40% in the next few years, to add questions in end-of-year surveys to measure inclusiveness in the school culture and to even create a lactation room for students and staff who are also parents. 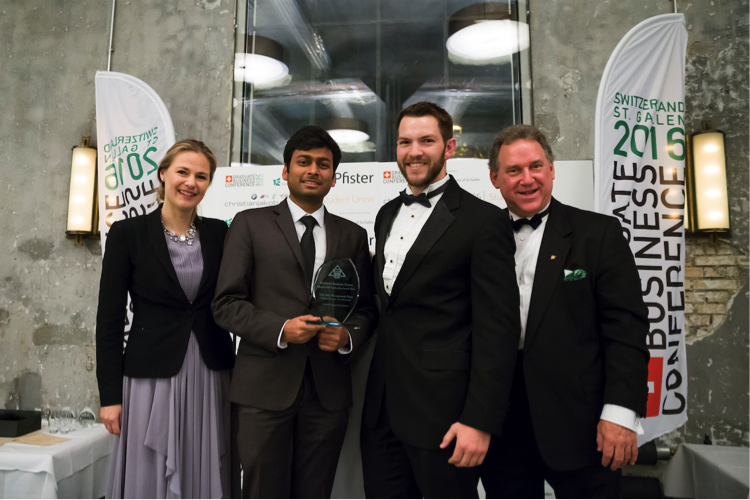 Runner up and finalist Rohit Gupta from The Chinese University of Hong Kong (CUHK) was recognised for his outstanding leadership in creating a co-learning environment and help students build a strong professional network in the Hong Kong community. Using the Peer-to-Peer (P2P) model, Rohit managed to gain the support of students, alumni and professors to participate in this initiative and look for mentors willing to share their knowledge and experience. So far the initiative has been a great success with sessions devoted to Finance, Consulting and Marketing, helping students to explore different industries and expand their network. Rohit is looking to expand this idea and adapt it for the Hong Kong unemployed youth in collaboration with the HK International Finance Center. Established in 1983, the Graduate Business Forum (GBF) (www.graduatebusinessforum.com) is a global organization dedicated to developing responsible leadership and global citizenship, with influence, through an exclusive network of student leaders and alumni from the world’s top 50 business schools. The GBF runs a number of activities to support the development of leadership skills for business school students through newsletters, shared knowledge platforms and networking events including the annual Graduate Business Conference (GBC), hosted by one of the GBF member schools, drawn from the top 50 business schools and MBA programs globally. 400+ forums and workshops helping inspire future leaders by the exchange of leadership initiatives, improved organizational approaches for student governments, implementation of new student initiatives, and an increased consciousness towards social responsibility and ethical leadership. 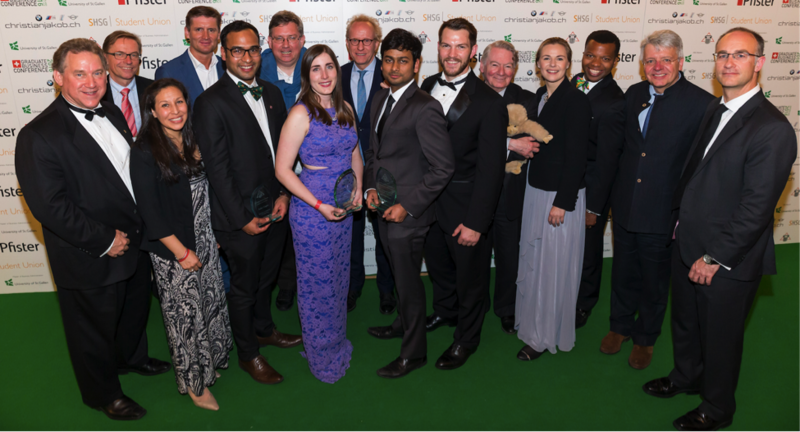 Every year the GBF selects two exceptional student leaders or teams to win the global Student Leadership Award (SLA) and Responsible Leadership Award (RLA). 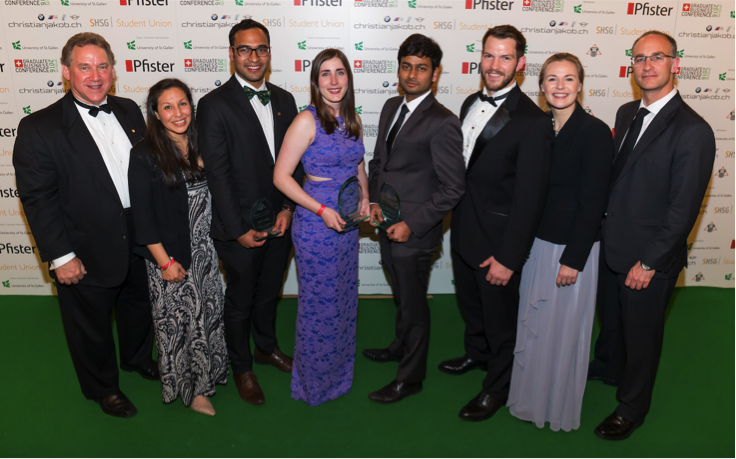 The winners are role models for student leadership and responsible leadership at the global level and have succeeded in making a significant impact within the graduate business community or society. The Student Leadership Award was introduced in 1991 by the Board of Directors of the Graduate Business Forum to recognize outstanding leadership, innovation and a commitment to the greater community at the graduate business level. The Responsible Leadership Award and Fund Grants were introduced in 2010 to honor, fund and support contributions of Business School students to society at large. The Awards are open to full‑time graduate business students of GBF member schools participating in the annual Graduate Business Conference. The award is presented at the GBF Student and Responsible Leadership Awards Commemorative Banquet and Gala at the annual Graduate Business Conference. Previous presenters of the Awards include HRH Crown Prince Frederik of Denmark, CEO of Bayer Greater China Celina Chew and Ken Morse, serial entrepreneur, Professor and Member of the National Advisory Council on Innovation and Entrepreneurship supporting Barack Obama’s innovation strategy. This entry was posted in News, Uncategorized by wieteke. Bookmark the permalink.